Should Videogames be in Libraries? Why don’t libraries have videogames? As both a gamer and librarian, I am concerned with the lack of acknowledgement of studies demonstrating the positive impacts of gaming or the remarkable projects being undertaken by both libraries and communities to “save the world” through gaming. Videogames are prevalent in America. Seventy-two percent of American households have video gaming systems. It is not only children who are playing. The average age of a gamer is 37, and 29% of gamers are over age 50. Think it is only the men and boys who are attracted to gaming? Wrong! In 2011, EA estimated 42% of gamers were female. The fact is nearly every community and every demographic is playing videogames. So why aren’t libraries acknowledging and reflecting this new widespread phenomena in their collections? A few trailblazing libraries have begun to incorporate videogames into their collections. Most notably, the New York Public Libraries in 2008 held videogame conventions in several of their branches. Librarians reasoned: “These students think, learn, and process information differently from their predecessors, and technology has accelerated the speed at which this generation adjusts to new situations, embraces new roles and goals, and interacts with people of diverse communities. Naturally, these learning needs bode new forms of technological information.” The Science & Engineering Library (S&E) at University of Santa Cruz actually has a Video Game Lab, with over 600 games and 40 consoles available for check-out. At the Syracuse iSchool, Dr. Scott Nicholson, associate professors and director of Because Play Matters game lab, is a leader in the field of gamification and games in libraries. One major reason I suspect videogames are not in more libraries’ collections (disregarding reducing collection budgets and staff) is because of the unfair assumption that gaming is an unproductive pastime which encourages laziness, aggression and obesity, especially in children. After all, the image of an overweight nerd living in his mother’s basement has become synonymous with video gaming. Contrary to popular belief, however, videogames actually have a very positive impact on players. Videogames have the potential to improve the lives of players and communities. A well-known gaming advocate and scientist, Dr. Jane McGonigal ‘s life was saved by gaming. She suffered from the type of suicidal thoughts that often times manifest in patients with severe concussions. She invented a game to get her through her daily tasks, and through role playing induced post traumatic enlightenment and ultimately a full recovery. 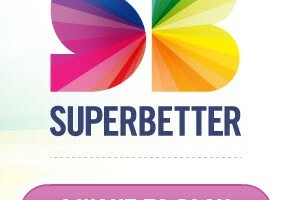 She knew from researching the psychology of games that “When we play a game, and this is in the scientific literature, we tackle tough challenges with more creativity, more determination, more optimism and we are more likely to reach out to others for help” She cofounded SuperBetter, and the game now helps 100,000 people to tackle real-life health challenges like depression, anxiety, chronic pain, and traumatic brain injury. The research, publications and personal stories validating the benefits of gaming goes on and on, and counters the widespread myth that videogames are useless. Yet there exist several other criticisms and arguments preventing videogames from becoming a main staple in libraries. Of course, there is hesitance given the controversy surrounding studies suggesting violent videogames causes aggressive behavior in children. Unfortunately, too many fail to make the distinction that these studies found excessive playing of violent videogames causes aggression. Parents should set boundaries and videogames should be played in moderation like everything else. Furthermore, the video industry has a rating system, specifically to help parents avoid purchasing inappropriately violent videogames for their children. Games rated E are appropriate content-wise for younger players and families, while the R games are action games intended for more mature players (think movie ratings). It is ridiculous to assume all videogames are the same, and that a library will catalogue a violent Grand Theft Auto-ish game clearly intended for older audiences, into its children’s collections. What’s wrong with a little Bait-and-Switch? There is also worry that videogames will simply become a Bait-and-Switch tactic to getting people into the door. So what? Why is that a bad thing if children or adults come to play or borrow an interactive videogame, and then discover a fascinating book in the process? In fact, many videogame titles have a host of spin off novels and comic books which expand the story line including the popular Halo, Star Wars and Mass Effect games. Are we being fair to videogames? The final criticism I have read implies (in different ways) that books are inherently superior to videogames and “deserve” to be in libraries. This is extremely snobbish and it is unfair to our patrons to favor traditional books over other potential collection items and other electronic mediums. Libraries rent popular movies because that is content people like. Unlike books and movies, videogames are interactive, require collaboration, foster skills such as coordination, and you might actually gain physical health by playing interactive games such as “Just Dance” or Wii fitness. Books are, without a doubt, awesome and will always be associated with libraries. But this should not mean dismissing other content and platforms going into the future, especially when it is widely used and with documented benefits. We need to stop the pervasive idea that gaming is a waste of time, and instead see it for its potential. Let’s be revolutionary and expand the stacks, let our patrons play and embrace the potential of videogames in our collections. I’ve made my case. Agree or disagree, I’m interested to know what others think. Let me know in the comments below! I am an alumna of the iSchool MLIS program and am mainly interested in writing about technology and libraries. Contact me at doroteaszkolar@gmail.com or @doroteaszkolar if you would like to chat.